Where can I download the latest version of CleanMyPC? Just visit the CleanMyPC page on our website and click the download button. The latest version is always here. What are CleanMyPC's system requirements? CleanMyPC runs on OS Windows 7 or any newer version and requires at least 40 MB of free disk space. How can I upgrade CleanMyPC to the newest version? Usually, CleanMyPC automatically checks for updates every time you open it. When a new version is ready to be installed, you see the Update window with brief release information. So, you need only to click Install Update and wait until the installation is over. Also, you can check for updates manually. Just open CleanMyPC and click Options in the upper-right corner of the window. Then, move to the Updates tab of the Options window and click Check Now. If a new CleanMyPC version is available, the program informs you. Also, we'd recommend you keeping the "Automatic updates" checkbox selected to get the recent updates as soon as possible. What if my activation number doesn’t work? First, please make sure that the activation number is correct and you copied all digits and letters. Also, note that the number mustn't include any spaces or other invisible symbols. If everything seems to be right, but the app informs that the activation code is used or incorrect, try our License Retrieval feature (read how to use it here). If none of these help, please contact our Support Team. Is CleanMyPC safe to use? What are the guarantees? CleanMyPC is safe to use for both Windows system and your user files. The safety of cleanup operations is primarily provided through a built-in Safety Database and smart analytic mechanisms used during the scan of the system. The Database contains a detailed list of cleanup rules and exceptions that is constantly updated to avoid any unpleasant surprises. 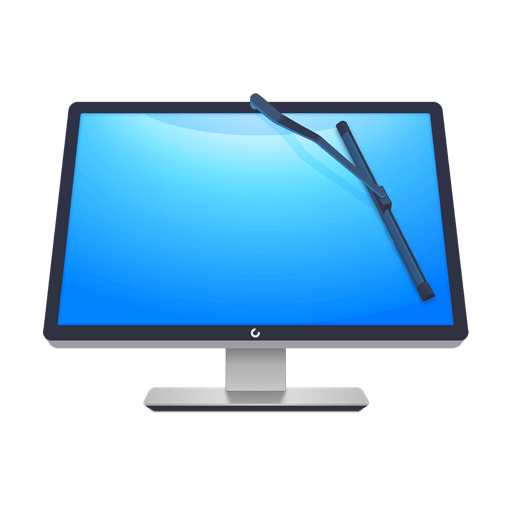 Therefore, CleanMyPC always uses it while selecting files for removal. Moreover, CleanMyPC pre-selects only unneeded files that are automatically generated by the system or programs, like cache, logs, trash, or leftover items. In other words, it will never offer you to delete any files created by a user. I have CleanMyMac 3, can I have a discount for CleanMyPC? Yes, all current MacPaw customers have a special loyalty discount. In particular, if you have already bought a MacPaw product license, you get 30% off all your next purchases at our MacPaw Store. You just need to open the Store, scroll to the bottom of the page, click “confirming,” and then specify the email address you used to make your previous purchase here. Prices will be updated automatically. How can I send a bug report or feedback in CleanMyPC? Open CleanMyPC and click Help in the upper-right corner of the window. In the Feedback Form, choose an appropriate feedback type and specify your email address (we need it to get back to you). Fill in the Description field with all important details and attach screenshots optionally. Be sure, we'll take into account all your suggestions and requests as well as do our best to resolve your issues. Can I get a user guide for CleanMyPC? Yes, you can take it here. How can I completely uninstall CleanMyPC? You can either uninstall CleanMyPC as any regular Windows program or use its built-in Multi Uninstaller module that removes any programs leaving no trash files behind. Please contact us at support@macpaw.com if there's something we can do to make you stay with CleanMyPC. Can I return a CleanMyPC license and get my money back? Yes, it is possible. However, we’re very sorry to hear you go. Could you let us know why you’ve decided to return the product? We'd be grateful to receive your feedback via our support form or email. Also, please check our Refund Policy.